The Graduates Follow-Up Office is an affiliate of the College of Engineering in Al-Leith. It is concerned with the management of graduates of the college. It was established by virtue of a decision of His Excellency the University President, no. 3903001433, taken on3/7/1439 A.H.
To increase the number of graduates joining the labor market through the continuous education and training programs offered by the university. To enhance the academic and social status of the university. To communicate with the College of Engineering graduates and provide data that reconciles educational outcomes and labor market requirements. To gauge the hiring trends of employers and the extent of their satisfaction with the college graduates. To monitor the challenges faced by graduates transitioning into the labor market. 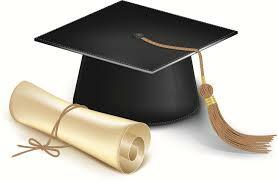 To contribute to forming associations for graduates and promoting communication among them. To find the best ways of maintaining ongoing connections between graduates and the College of Engineering.